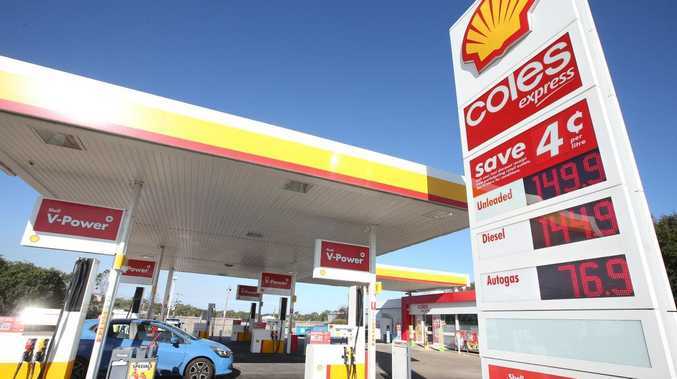 COLES has inked a new deal with petrol supplier Viva Energy that promises to finally address persistently high fuel prices at its 700-plus Coles Express outlets that have previously drawn the ire of the competition watchdog. Under the new 10-year agreement announced to the Australian Securities Exchange on Wednesday, Coles has handed over responsibility for setting petrol prices to Viva Energy and overhauled the financial arrangement. Viva, which holds the license to the Shell brand and owns the physical sites, previously sold the fuel to Coles wholesale. The new deal means Coles will effectively sell the fuel on behalf of Viva and collect a commission. Viva will make a one-off payment of $137 million to Coles "in consideration of the changed commercial terms and margin foregone". The company will also take a bigger cut of convenience sales, a key profit driver. "It better aligns the contributions of both businesses so that Coles Express can focus on convenience food retailing and Viva can focus on petrol retailing," said Coles Express chief executive Alister Jordan. "We believe that as a result of this new alliance agreement we will be able to provide a more competitive customer offer going forward. They set the price and take the margin. We as Coles Express run the sites and the convenience offering." Coles had predicted earnings from its convenience stores would plunge 60 per cent this year as a result of declining fuel volumes, which were tracking 11.7 million litres per week lower in the first half of the 2019 financial year compared with the same time a year ago. Mr Jordan said the two companies had been trialling new fuel strategies for the past two years. "As time has gone on, the alliance structure became increasingly unsustainable as there wasn't clear alignment and incentives for both parties," he said. "It's taken us time to land this new agreement. I believe this is good for both parties because we will ultimately have a more competitive offer to our customers through our convenience stores and through our forecourts." Viva said it would reinvest the margin into lower fuel prices with the goal of growing volumes to 75 million litres per week, up from around 60 million currently. Existing loyalty benefits will continue to be offered to customers including the 4 cent per litre fuel docket discount and the ability to earn Flybuys points. The service station peak body, the Australasian Convenience and Petroleum Marketers Association, welcomed the news. "This is a very positive move that recognises that Viva and Coles are working towards a proposition that better suits the growing petrol convenience market," said ACAPMA chief executive Mark McKenzie. "As a result of this we expect it will further increase competition in the sector and provide flowthrough benefits to motorists." The Australian Competition and Consumer Commission has previously noted Coles Express was the most expensive fuel retailer in the five major capitals. In 2013, the watchdog forced Coles and Woolworths to limit shopper docket discounts, which could reach as high as 45 cents per litre, citing concerns about their long-term anti-competitive effect.